We woke up today knowing this was going to be a busy day. We had breakfast as a team. Then Daichi and Ken had to catch a flight back to L.A. while the rest of the team took the train with all our luggage to the last stop. There we met Hide and Yasuyo and another church member. We needed three cars to take us and all our luggage! We made it to the Nagakute Cultural Center where we had All Nations Fellowship church service. I led two songs, then Pastor Gavin preached with Hide translating. We then had a special VBS presentation where the kids came up on stage and performed two VBS songs. Cindy prepared a short video of all the fun activities the kids did during the week. After saying goodbye to our friends (with some tears), we took a bus to the Nagoya airport for our SECOND VBS in Niseko, Hokkaido! In fact, I am writing this on the plane. We will land at 7:40 pm in Sapporo and drive two hours to Niseko! Please pray for our energy and health. We are excited but tired. We drove into Niseko at 11:30 pm last night. We went in and fell asleep right away. 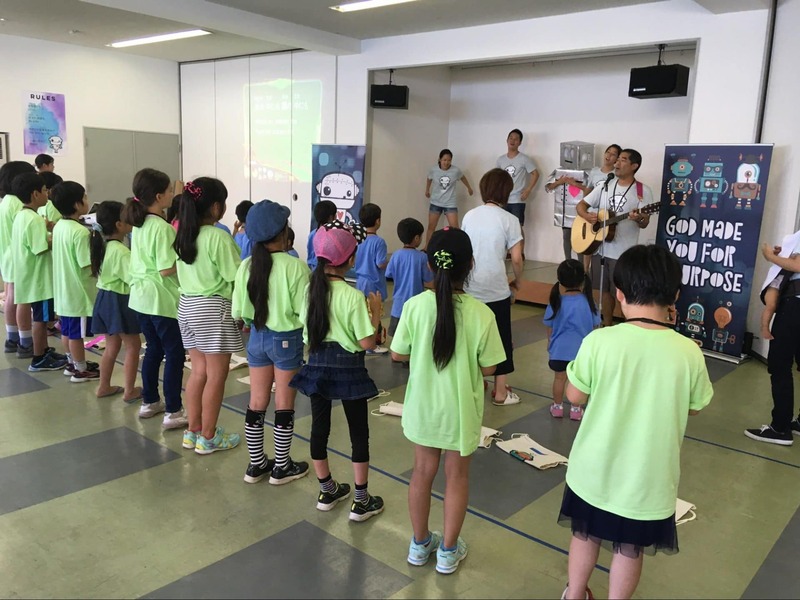 We woke up at 8:00 am and went to the Shimazu Center where VBS will take place. There, we had a 10:00 meeting with all the volunteers for Camp Robot Niseko. 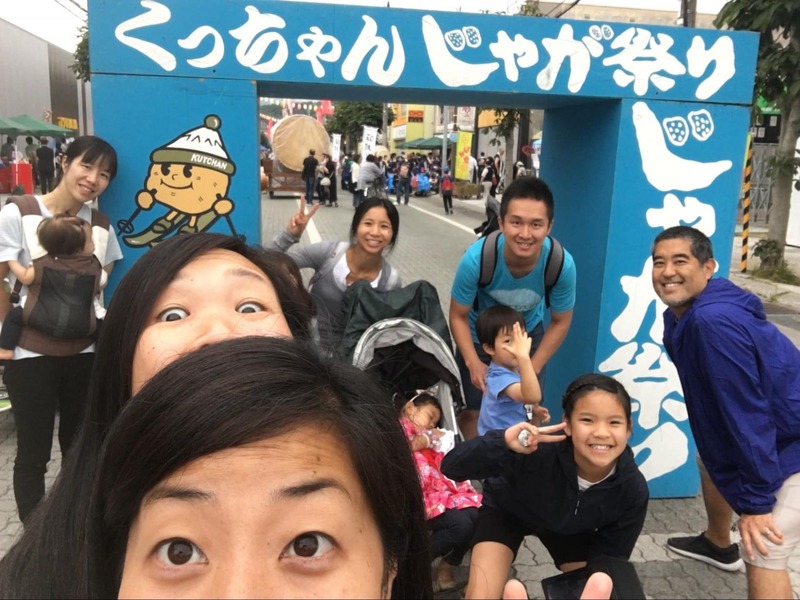 We were surprised at how warm and humid it is in Hokkaido. It was 85 degrees with 91% humidity! It was good to meet the volunteers from Niseko, but also from Hong Kong and Singapore. We set up the stage, the rooms, and registration table. 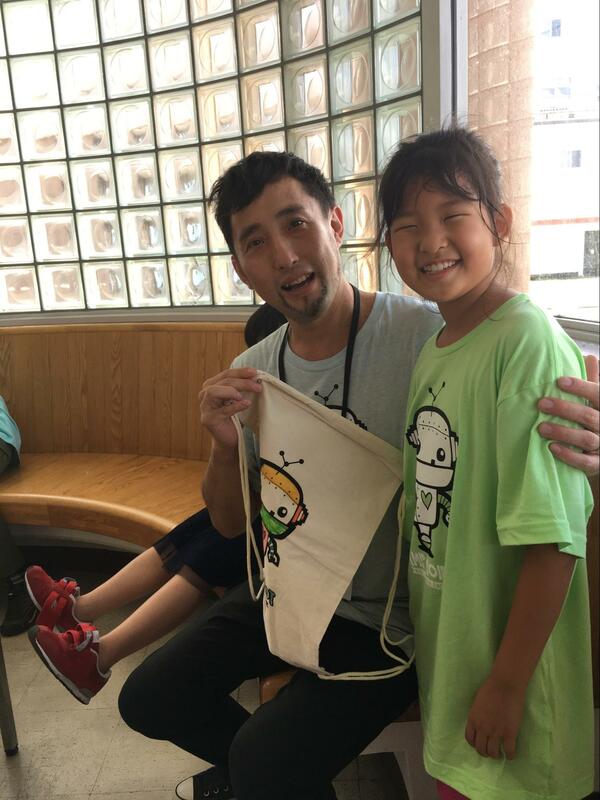 Luke Sasaki (pictured below) came from Kyoto International University Academy and brought 10 students to be a part of Camp Robot Niseko! After the meeting, we went to Daiso to buy supplies. We went to a grocery store called MaxValu next door to buy snacks and drinks. 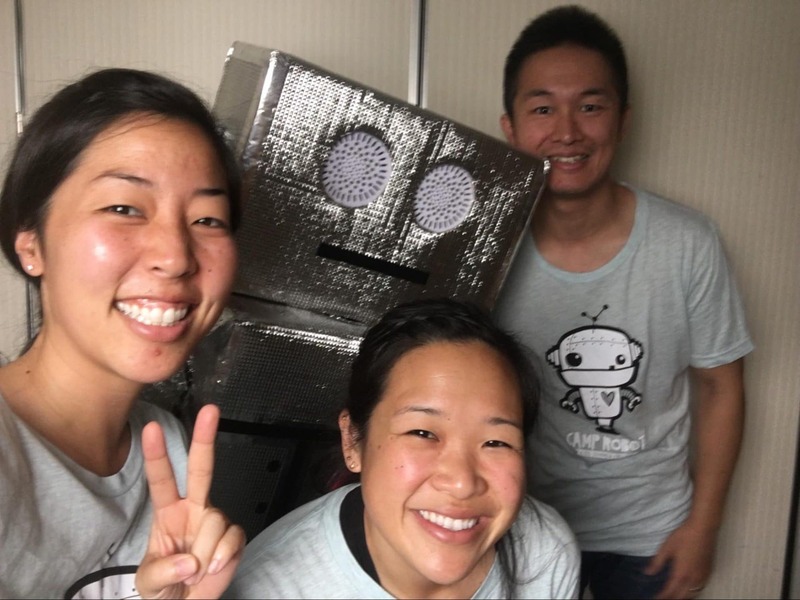 We are ready for Round Two of Camp Robot! 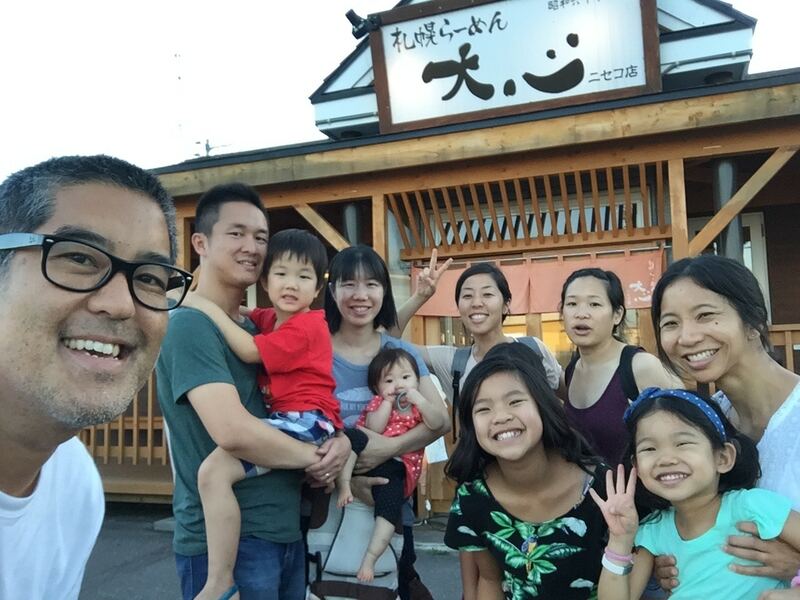 For dinner, we asked Pastor Keita Murata of Niseko Church for suggestions. He suggested Hokkaido miso ramen. It was good! 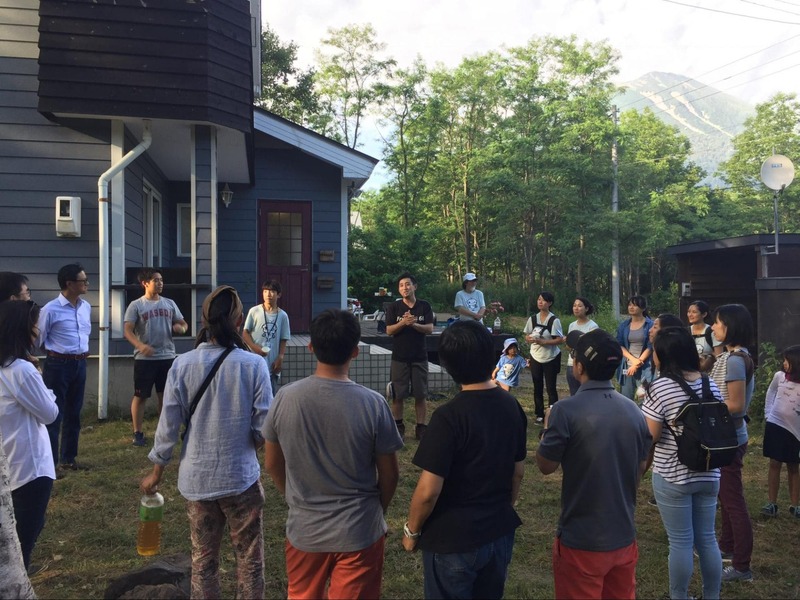 Today was the first day of VBS in Niseko, Hokkaido! Excitement filled the Shimazu Center. It was a flurry of activity before the first session. 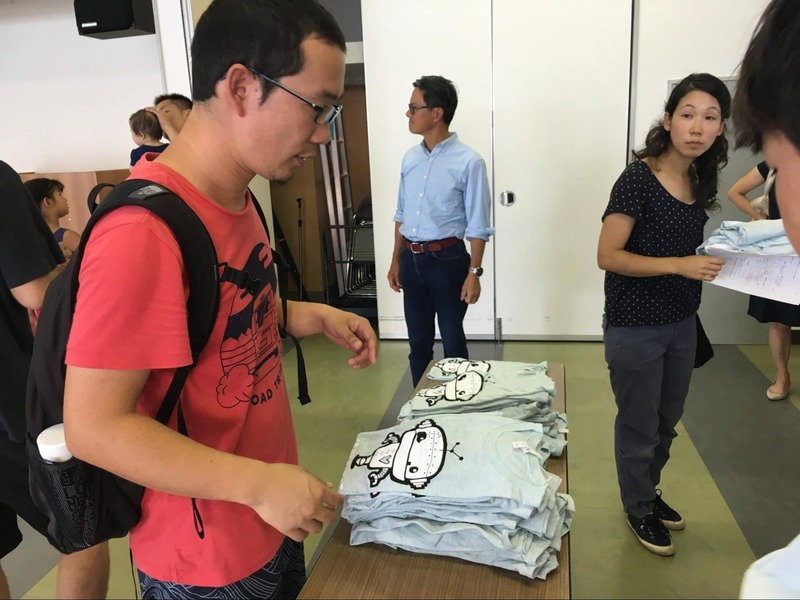 Volunteers from Niseko, Hong Kong, and Singapore convened at 9:00 am and we discussed what everyone was doing. Pastor Keita Murata of Niseko Church led a quick time of prayer. Then, it was 10:00 am and it was time to sing VBS songs! There were 46 kids registered but nine were missing because a group from Kyoto was flying in later tonight. The kids were a bit nervous at first but warmed up to the music and the crazy dancers…and of course, Robo-kun! The kids were sweet and we had a great time talking to them. I am looking forward to getting to know the kids more and more throughout the week. Two ladies from Singapore cooked lunch for all the volunteers and said they would cook for everyone every day! We were delighted to hear that. It was nice to sit and eat lunch after VBS and talk to the kids and the moms. 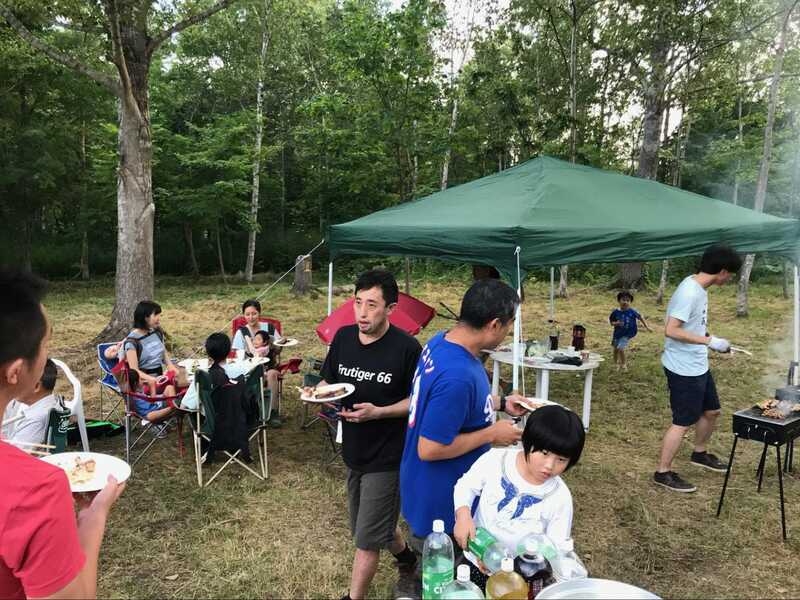 This was our second day of VBS in Niseko. Today went a lot smoother because everyone knew what was going on, including me! The kids knew what to expect, the volunteers knew what to do, and we are getting to know the kids better. Everyone now could focus on the content. Today’s lesson was on the Gospel. Jen and Hide shared Jesus. Cindy’s craft was stained-glass crosses. Christina had the kindergarteners jump as far as they could to the goal, but none of them could reach it. At the end of the day, Pastor Murata of Niseko Church gave an altar call to the kids and prayed with them. 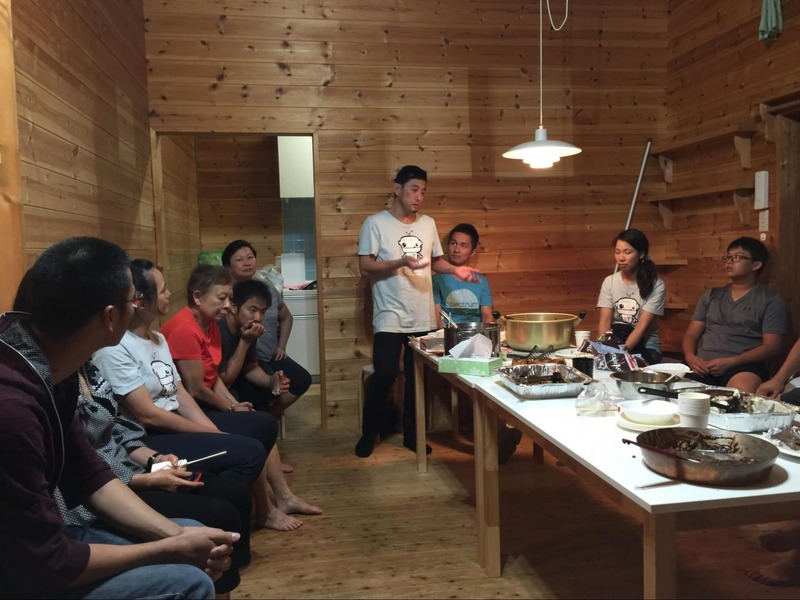 In the evening, Pastor Murata invited all the volunteers to his house to have a backyard BBQ. We had pork, lamb, chicken, homegrown vegetables, watermelon, and cream puffs. It was a great time of relaxing and eating and getting to know the volunteers from Singapore and Hong Kong. But Pastor Murata said the party is over at 7:00 pm because that is when the mosquitoes come out. Sure enough, at 6:45 my legs were getting bit. We all said goodnight and ran to the van! This was our third day of VBS and we are really connecting with the kids and the volunteers. It is truly a blessing to be able to serve alongside devoted, humble Christians in such a serene and natural environment. Every morning, we take time to pray at our house. Then we take a 15-minute drive to the Shimazu Center in Kutchan. The whole drive has two traffic lights. We enjoy seeing Mount Yotei and countless majestic trees on the drive. 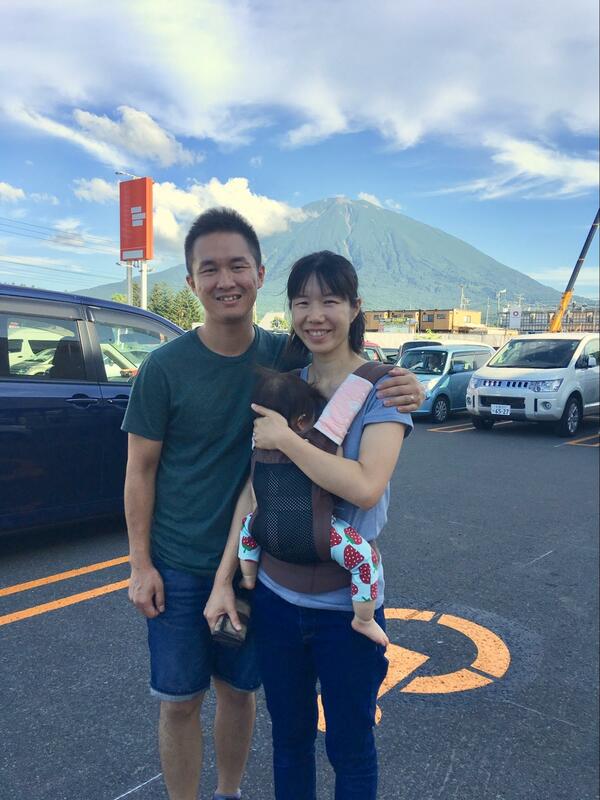 Pastor Murata is the Pastor at Niseko Church but he is also a snowboard instructor in the winter. He is married to Yae and has two sons. His church is small (about 20 people consistently) and is the only church in the area. 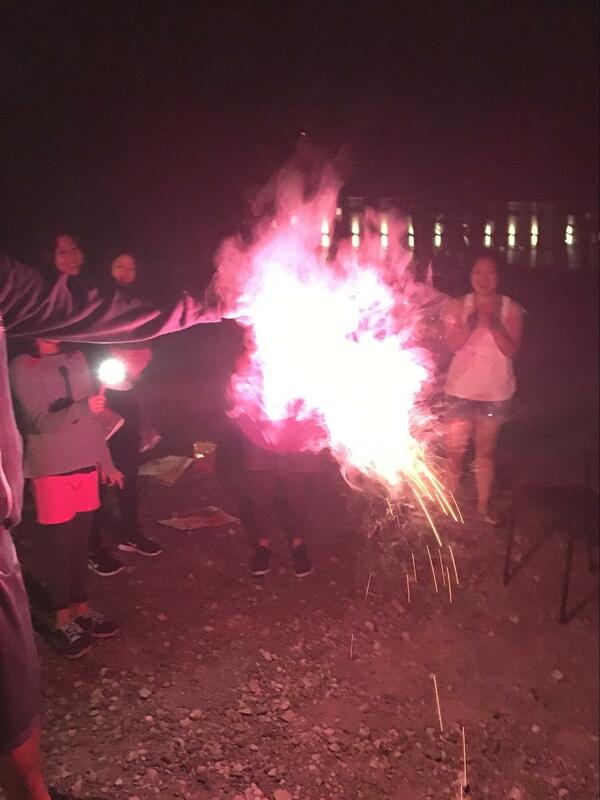 Tonight our team from America wanted to try what many Japanese do in the summer…fireworks! We bought some sparklers and went outside. Always using wisdom and obeying laws, we took turns holding sparklers under the stars. 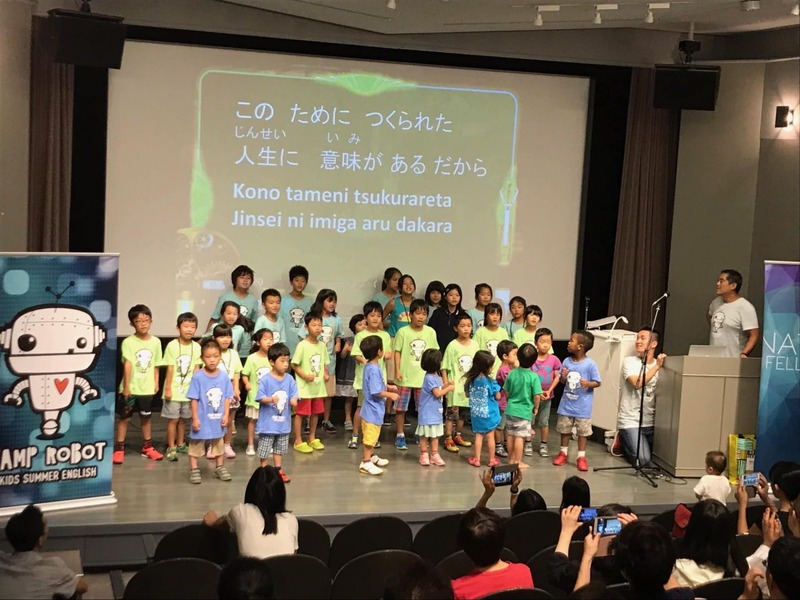 We had another great day with the kids at Camp Robot Niseko. We introduced two songs in English. Many of the kids know English and had no problem singing the songs. They love jumping around and doing the hand motions. Today’s theme was “God is always with me”. We emphasized that God will be with them no matter what happens in life. His promise is true. 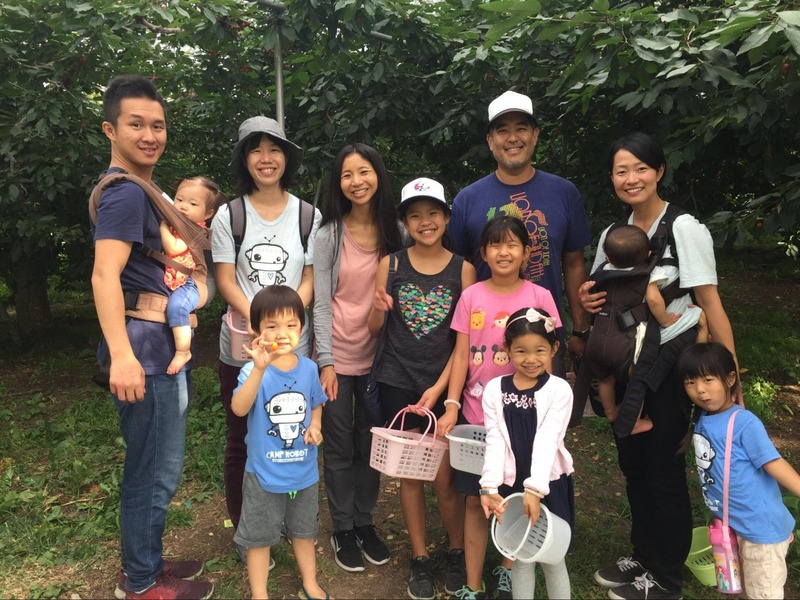 Pastor Murata and Niseko Church treated us to a fun event after VBS…fruit picking! 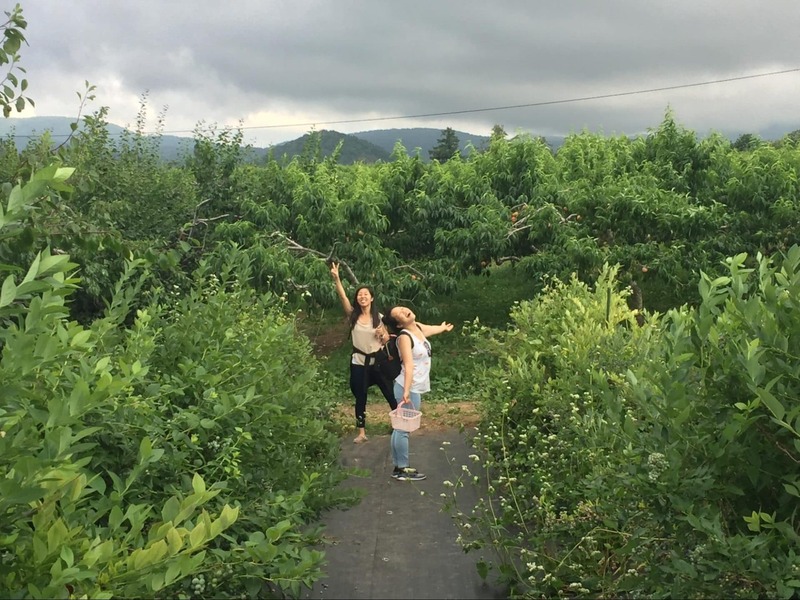 We drove 50 minutes to a farm near Otaru. The air was crisp and cool. We entered the lobby and was given instructions. We could pick all the blueberries, cherries, peaches, and plums we wanted as long as we ate them! We couldn’t take any home. It was such a great experience picking fresh fruit and eating them while talking to other volunteers at VBS. This was the last day of VBS and it was again…bittersweet. We are tired. This is the end of our second week of VBS. But we have met so many wonderful people this week. 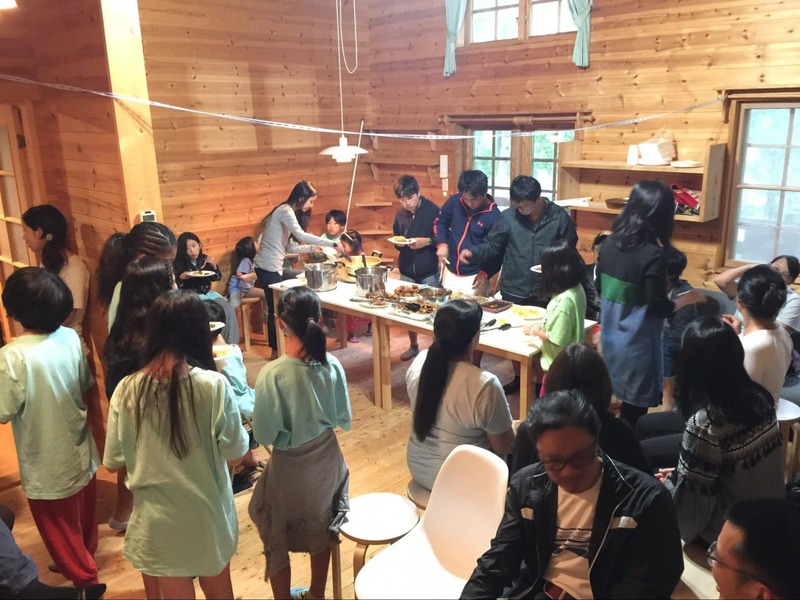 We all feel so blessed to be a part of Camp Robot Niseko. We sang our last song but not before inviting Pastor Murata and his wife to the stage. They danced with Cindy, Jen, and Robo-kun. It was a great ending to a fun week. Across the street was the annual Potato Festival. So after we cleaned up, we walked to the festival and saw taiko performances and ate street food. It was nice to take in some Japanese culture. Finally, we had one last dinner with all the volunteers at the lodge where the Kyoto kids were staying. The ladies from Singapore prepared another outstanding meal for about 30 people. After dessert, we shared about our experience this week. The most touching part was when Pastor Murata stood up and shared how thankful he was to God that we all came. He was so happy that so many people came from different countries to the town he loves. He was overwhelmed to the point of tears.